Do Facebook ads work? Let’s find out. With 1.32 billion active users, Facebook definitely has a varied pool of prospects for you to target. And out of the 30 million small businesses with a page on Facebook, there are 1.5 million advertisers; and that number is growing every day. The reason there are so many advertisers is because Facebook ads pay. In fact, Facebook’s ad revenue for the quarter ending June 30th totaled $2.91 billion, which is a whopping 61% over the $1.8 billion that was reported in June of last year. What made all the difference? It’s probably sitting next to you on your desk, resting in your pocket or purse, or it’s somewhere near a plug outlet charging. We’re referring to, of course, your smartphone. Mobile devices (including tablets and – soon – wearables) now accounts for 62% of Facebook’s advertising revenue. This is easy to understand when you consider that most regular users of Facebook check their profiles at least once per day, and most do so on their mobile devices. So by advertising on Facebook, you’ll not only get your ads placed in front of targeted prospects, but you’ll be able to follow those prospects around, even while they’re on the go. Use a Small Budget and Ramp It Up Slowly: The Facebook ad platform makes it easy to get started with very little money. In fact, many advertisers stick to a budget of around $5 per day, which is about what the average loyal Starbucks customer spends on coffee. Then, when you start seeing results from your ads, you can put the profits that you earn right back into your ads, improving your ad click-through rates and sales steadily over time. Don’t be Salesy: The best way to write your ads on Facebook is as if you are recommending your product or service to a good friend. Remember, Facebook is – first and foremost – a social networking platform. Be social and draw customers in by appealing to their wants and desires. For example, don’t say, “Buy these glasses now!” Instead, act like you’re talking to a good friend and say, “Want to look good AND wear glasses? Now you can.” Just appealing to their likes and dislikes, you can entice more clicks, and ultimately earn more sales from your growing Facebook marketing ad audience. Let Prospects Know What They’re Getting: Another way to think of the above is to give prospects exactly what they expect. The images you use in your ads, text and all other elements must give your prospects an accurate representation of where they’ll be taken and what they’ll be exposed to once they commit to a click-through. 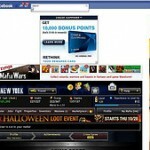 Do not trick your audience, or your audience may think twice about clicking your Facebook ads in the future. Promote Your Business Page Only: Leave the heavy promotion for your actual Facebook business page. Just as you are advised to do with your finances, when it comes to Facebook ads, it’s best to keep business and pleasure separate. Use Cross-Channel Reporting to Test and Tweak: Facebook recently rolled out its cross-channel reporting platform, which means that you’ll be able to identify where and how people are seeing and reacting to your Facebook ads. Use this information to discover where your advertising efforts are most effective and where you can improve your efforts to earn an even higher return on your investment. The bottom line is this: if you’re not investing in Facebook marketing, you’re not going to ‘Like’ the results you get from your current marketing campaign. Add Facebook ads to the mix, on the other hand, and you’ll be able to watch your numbers – and revenue – grow. This entry was posted in Facebook and tagged facebook, Facebook ads, facebook marketing by Bill. Bookmark the permalink.